I know from painful experience that this is one of the worse things that can happen to any cat's human. Of course it's a nightmare when they're ill but at least then you know where they are and can try to help. However, when you don't know if they're trapped in a garage somewhere, lying dead or dying at the side of a road, or just chilling out on someone else's patio its sheer hell. Don't let them out until they've lived with you in that particular house for a good couple of weeks at least. They need time to realise that 'home' or perhaps food and slaves are available at that address. Make sure you have some clear photos of your cat/s - not just the cute ones with them cuddled up with teddies, but ones of them sitting or standing without lots of stuff around them, and clearly displaying any distinguishing markings. Keep them in until they're at least 6 months old AND neutered. Boys will stray for miles in search of a female, and girlies can come home with unwanted pregnancies. Make sure you have them micro chipped AND keep your contact details up to date. It's quick and easy and needn't be expensive. They can be chipped from being quite small kittens, though quite a few people opt to wait until they're neutered and have it done whilst under anaesthetic. I've taken a lot of cats and kittens to to chipped and even the very little ones hardly flinch. It's really important to keep your contact details up to date once they're chipped. I found this site recently which offers to send you an email reminder to update any changes. Looks like a good idea. There are several different companies who manage microchipping, so several different data bases. If you're not sure who to contact to update details this is a helpful link. They give advice on how to find which database your microchip number is registered with, and if you don't know your cat's chip number they explain how to find it. Don't panic. [I never take this advice! If it were up to me we'd have search and rescue helicopters launched every time they're 10 minutes late for their supper]. Nevertheless, normally there's some perfectly reasonable explanation and they're fine - just being cats and ignoring my calls because they choose to. Call them and rattle a box / packet of their treats (it's probably not a bad idea to get them hooked on treats and the sound of the packet as a way of getting them home). So far as possible try to keep the panic out of your voice. They can sense it and interpret it as them being in trouble so delay coming back. Stepping it up a notch: Daytime search:Walk round immediately adjoining streets. Have a picture of your cat with you, chat to neighbours, ask them to search outhouses, leave your phone number or address with them. Night time search walk round streets when its quieter, rattle treats again and call the cat. Remember to stop to listen for them answering. If they're stuck in a shed they may call to you but not be able to come to you. And another notch: Print out some posters and flyers. 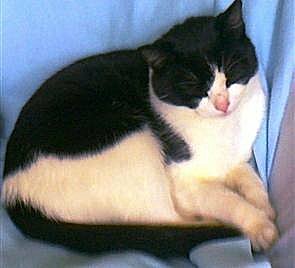 "Lost Cat" with description and photo of cat and contact details. Put flyers through the doors of the closest roads, asking neighbours to check sheds /garages /outhouses etc. It's worth keeping a note of who you've visited / who's checked their shed etc. Posters on lamp posts or trees at strategic points on streets in wider area. Think what will be visible to both drivers and pedestrians. Your local post office or shop is also a good place to ask if anyone has found a cat, and to display a poster. Things you might find useful in this are a laminator (so posters don't just fall apart the first time it rains) failing that, those A4 size plastic pockets are reasonable - if you put them upside down the rain is less likely to run in. Staple guns are great for attaching posters to trees, otherwise sticky tape will do the job - though that's easier to use on lamp posts than trees. It's worth having some string if you need to attach posters to allotment gates etc. It's been suggested that emptying some of the contents of your vacuum cleaner on the garden, or fastening sticky tape with some of the cat's hair on to the garden fence could be useful so that the cat will pick up the scent of his home if he's become disorientated. This might be particularly useful if the cat is new to being allowed outdoors from that home. There are a lot of online resources to help. Perhaps the main one to visit is the RSPCA one, but there is also Animal Search, and National missing pets register. Another site which is new, but will be excellent when it takes off is Cat Aware - you can pre load details about your cat on there so if s/he goes missing everything is ready to swing into motion. Sheffield Forum pets section is another good place to advertise. There are also lots of groups on Facebook for lost and found cats in the area. I'm not going to do links for those as they seem to be ever changing - just search on Facebook. 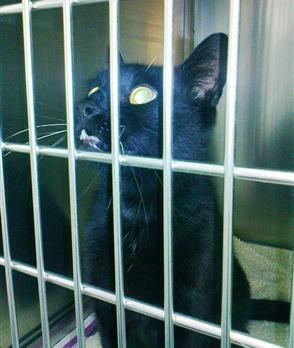 It's not a bad idea to call local vets just to make them aware in case a 'found' cat is brought in. And, although its the last news you'd want to hear, you can contact Sheffield Council Streets Ahead to see if your pet has been found deceased. 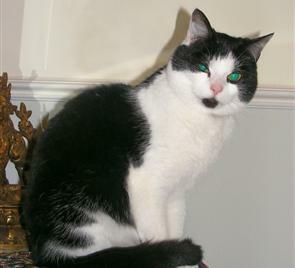 A Sheffield friend tells me of a cat her family had when she was a child. It got into next doors removal van unnoticed until it leapt out when the neighbours arrived at their new home in Manchester! 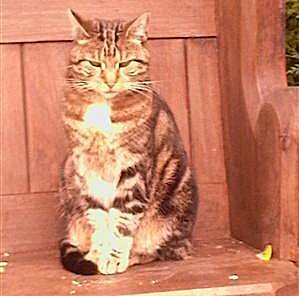 The cat ran off before it could be caught ... and arrived back at her home in Sheffield a few weeks later. A London friend tells the story of his family moving up to Scotland with their cat. A couple of weeks later their ex neighbour in London phoned to say the cat had arrived back at their old home. The very first cat I took in to 8Lives rescue has a similar story to tell. 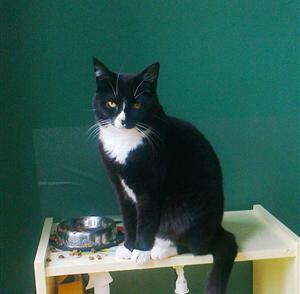 He'd been living with an elderly gentleman for 2-3 years, but sadly the man had died and the family were desperate to find a home for the cat. I went over to collect him, popped in to the vets on the way home just to get him checked over. To our amazement the cat had a microchip, and when the vet called the contact number it proved to be up to date. A stunned but delighted family came to the vets to collect the lad who they'd lost nearly 5 years ago!